Fabio Aru and Astana have decided that the Italian will make his season debut at the Volta a la Comunitat Valenciana (February 3-7) rather than at the Volta ao Algarve as the Sardinian rider had recently said. 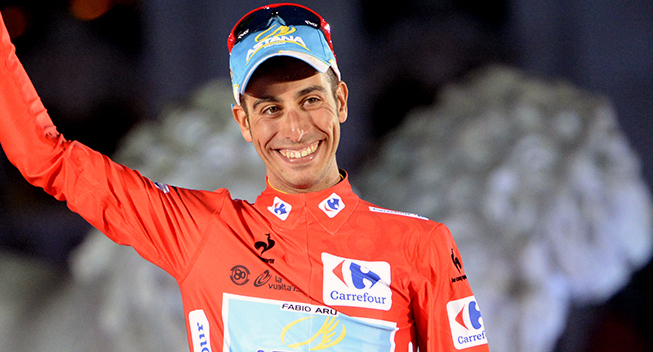 Aru will therefore be one of the main protagonists in the new Volta a la Comunitat Valenciana which will be returning to the calendar after 8 years of absence. An individual time trial in Oropesa will kick off the race. Aru will then do Tirreno-Adriatico or Paris-Nice before heading to the Tour of the Basque Country, where he will make his debut, and the Ardennes Classics Fleche-Wallonne and Liege-Bastogne-Liege, the final races in the first part of the year. With the Tour de France as a major goal, he will do two high-altitude camps before and after the Criterium du Dauphiné, his last race before his debut in the French grand tour. The Italian rider got his breakthrough in 2014 when he was third in the Giro d'Italia and fifth in the Vuelta a Espana, and took a step forward in 2015 when he was second in the Giro and won the Vuelta at just 25 years of age.